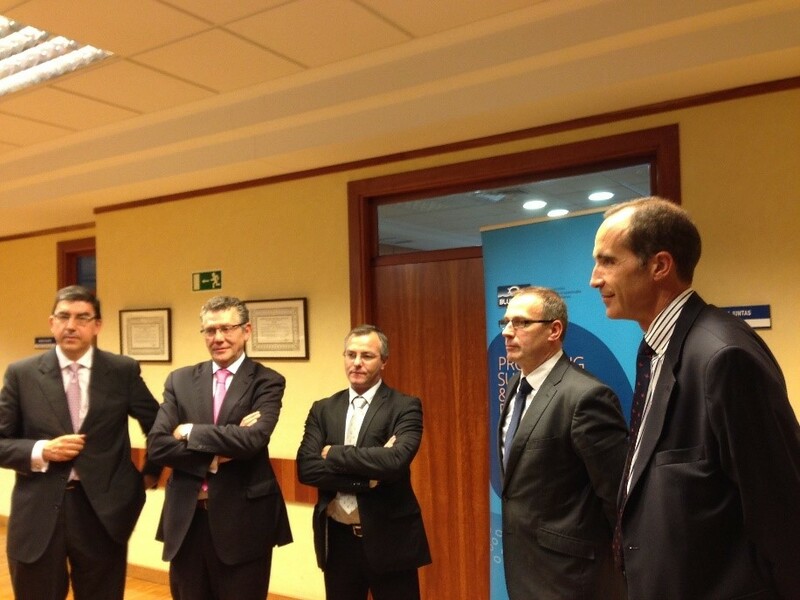 Blue Fish Europe’s Board of Directors met in Vigo on 6 October, in the margins of the Conxemar fair. French, Scottish and Spanish representatives from the fisheries sector discussed the importance of the sector for the economic and social wellbeing of Europe. In particular, sustainable fishing, as practiced by the members of Blue Fish Europe, can make a real contribution to the European goal of sustainable growth and job creation over the next few years. As such, the fishing sector and its wider ecosystem should be taken into account by policy makers when considering the economic development of Europe’s maritime regions, Blue Fish Europe argues. Further, the European fishing sector agreed to work together to promote the implementation of a lasting and responsible fisheries policy. Representatives of the fishing sector from different countries are joining efforts for the first time because they have the same objectives, argued Javier Touza, Vice-President of Blue Fish Europe and President of ARVI (Cooperativa Armadores de Pesca de Vigo). He also explained that the time was ripe for a “change in the perception of the fisheries sector.” Even though the fishing sector has been implementing for the past decades sustainable and responsible practices that respect the marine ecosystem and help keep regional communities alive, it often suffers from misperceptions from policymakers and citizens alike. To make the best practices of the sector widely known and better understood, Blue Fish is organizing on 20 – 23 October in the European Parliament an exhibition showcasing the lives of European fisherman. A cocktail will be organized so that fishermen and people of the sector can share their experiences with Members of European Parliament as well as representatives of the Member States’ governments and European Commission.